The most common accessory that the well-dressed gentleman in the 1850s carried was a walking cane. This simple object was a status symbol among those with taste, the equivalent of the rapier carried by nobles during the Renaissance period. You simply did not leave home without it—so what better place to hide a gun? For the sixty or so years of the Victorian era, every gentleman with clean fingernails went about town with a walking cane. These canes were simple accessories (though they could often be quite ornate in appearance) and didn’t have a specific purpose other than as a fashion accessory, a symbol of taste, wealth and class. However, the piece of mind that comes with traveling with a nice, sturdy stick in your hands was certainly an aspect of these early canes function/popularity as this period also saw one of the most notorious rises in street crime ever seen in the modern Western world. 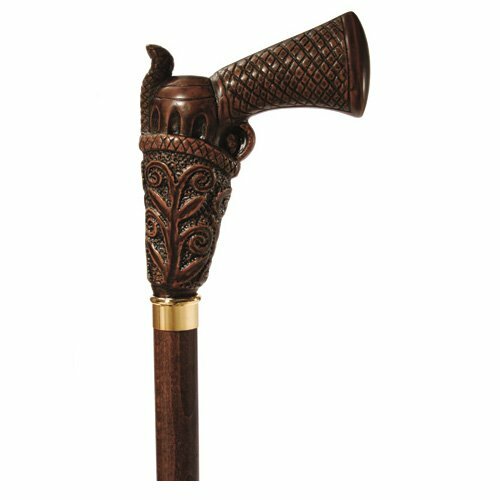 And with the canes marking these gentlemen as targets for ruffians as much as defending against them, you could see why it soon became Western 6 shooter pist... Buy New $91.90 (as of 04:20 EDT - Details) fashionable to have not only a cane, but also one that held a means of protection. This led to cane swords, but these were largely outpaced by the rise of small, concealable pistols, used both by citizens as well as by the criminal elements. Why bring a sword to a gunfight? This line of thinking led to canes that were in fact, working firearms. It may surprise people today, but the most commonly encountered cane gun that ever saw mass production was made by American gun great, Remington Arms. The company’s master mechanic John F. Thomas patented (#19,328) a percussion fired single-shot cane rifle in 1858 and within a year, Remington was selling their guns to an eager public. These weapons could fire a .31 caliber ball with a load of black powder ignited by a percussion cap. 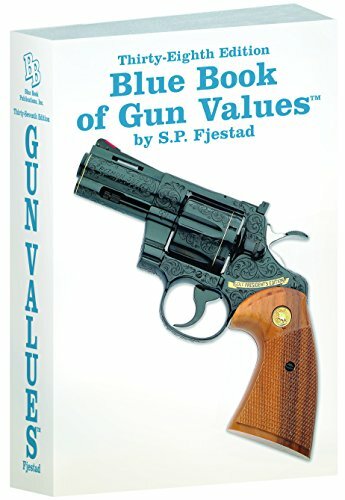 Weighing from 20 to 24-ounces 38th Edition Blue Book... S.P. Fjestad Best Price: $42.98 Buy New $47.49 (as of 12:45 EDT - Details) depending on length and caliber, the canes were coated with a natural rubber known as ‘gutta-percha‘. They tend to be between 33-36 inches long overall. To fire the gun, pull the handle back to a cocked position, aim the cane, press the small button recessed in the handle that actuated the striker and hold on. It sold well—a successful novelty that any gentleman of means and distinction would have been pleased to own. By 1866, the percussion model was replaced by one that fired either a .22 or a .32 caliber rimfire cartridge. All of the models, even the percussion ones, were breech loaded by unscrewing the cane to allow access to the chamber. Between the three distinct versions, some 4500 or so Remington cane guns were made before the company ceased production in 1888. This number however does not do these guns’ legacy justice. Briggs cane gun with concealed pepperbox revolver. Once exported, the Remingtons led to an overseas arms race to produce other, better cane guns. The French firm of Dumonthier made a smoothbore gun of about .410 calibers that had a very similar design to the Remington, only it was centerfire. Briggs of London jumped on the bandwagon in the 1860s with a cane that broke apart to conceal a hidden 4-shot .22 rimfire caliber pepperbox revolver. Dozens of smaller firms sold unlicensed and usually unmarked versions of their own guns all over Western Europe, many of which have made their way to America. Did an Asteroid Wipe Out a Civilization Like Ours?